Please select an option Black Gold Rose gold Silver Please select a Color. These Kitty Kat earrings are adorable and will have everyone asking you where you got them. What is better than elegant pearl earrings? That's right! 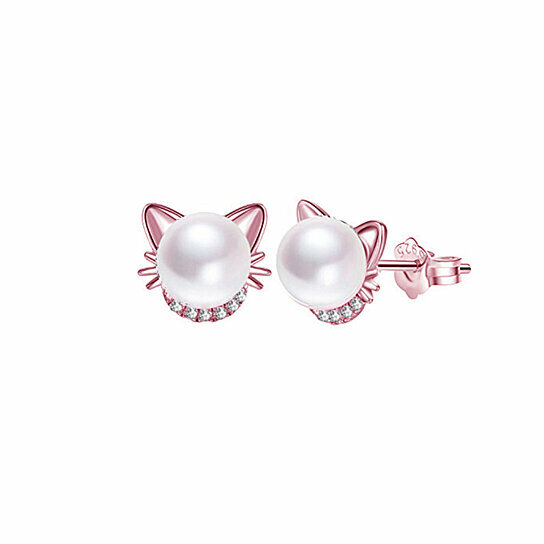 Elegant pearl earrings that look like a cute cat face. Cat lovers will love these for any occasion. A definite conversation piece. They have a butterfly post.